Palestinian Arab truck driver crashed into Israeli car in Samaria after losing control of vehicle. One dead, one injured in crash. One person was killed and a second injured Monday morning, when a Palestinian Arab truck crashed into an Israeli vehicle in central Samaria. The accident occurred on eastbound Route 505 near the Tapuah Junction, adjacent to the Israeli town of Kfar Tapuah, at 10:20 a.m. Monday morning. 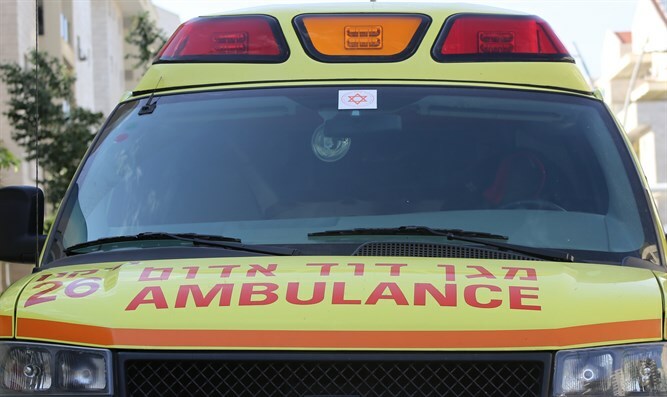 According to MDA, which received the initial report of the accident, the Palestinian Arab truck driver apparently lost control of his vehicle, and collided with an Israeli vehicle, then crashed into the side of a hill. MDA paramedics and an IDF army medical team were dispatched to the scene to treat the victims of the crash. The truck driver, roughly 40 years of age, was declared dead at the scene. The Israeli driver was treated at the scene and evacuated for treatment. He is said to be in light condition.